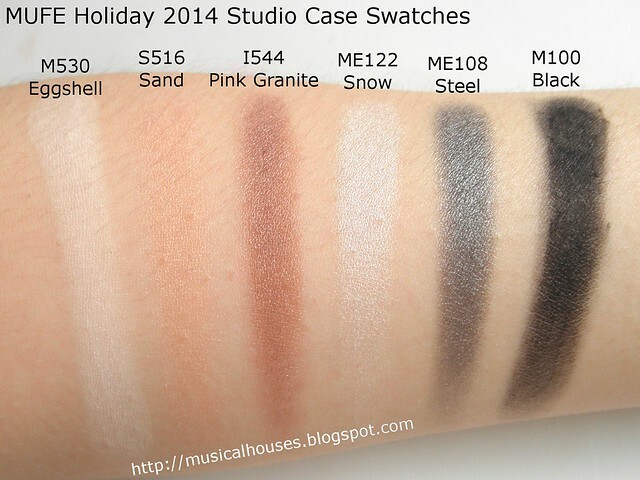 MUFE Holiday 2014 Studio Case Review and Swatches! MUFE (Make Up For Ever), the brand famous for its artistic sensibilities, large range of colours, and high-quality products, has launched their Holiday 2014 Collection! Their holiday collection includes various sets and kits, from makeup brushes to eyeshadows, and a mix of makeup products. One of the standouts this Holiday season if you're an eyeshadow lover is the MUFE Studio Case, which I've reviewed for you guys today! 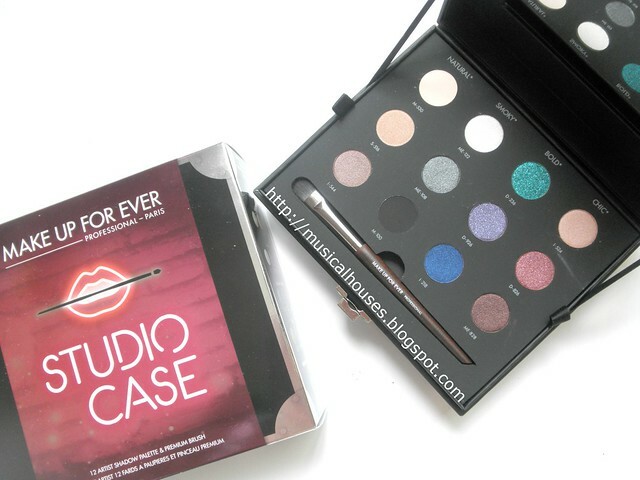 The MUFE Studio Case comes with 12 mini-sized eyeshadows, with a travel-sized eyeshadow brush. The eyeshadows are 0.024oz/0.7g, as opposed to the usual 0.7oz/2.0g of product in a full-sized pan, so each shadow is roughly about a third of the size of a full-sized eyeshadow. The 12 shades are grouped into 4 groups of colour stories - there are Natural shades, Smokey Shades, Bold shades, and Chic shades. It's like a little box of colourful gems and treasures! If you're wondering how to use the shades, the MUFE Singapore Facebook Page even has little tutorial images for each of the looks (natural, smoky, bold, chic). But first, let's take a look at the Studio Case itself, the eyeshadows and the brushes! The Studio Case packaging itself is a pretty sturdy box - it's not very big, about 16cm/6.3in by 13.5cm/5.3in by 5.2cm/2.0in. (Yes, I busted out my ruler for this review - you're welcome. ), but it's a nice size if you need to pack it in your luggage. There is some space under the tray carrying the 12 eyeshadows and eyeshadow brush, so you can probably place other flat-laying items (e.g. blush, powder) underneath the tray. 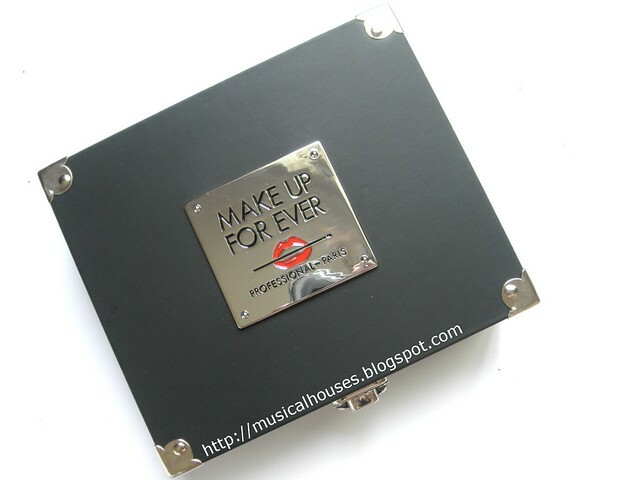 The tray itself is removable (good news for those who like to depot their eyeshadow), and and the rest of the Studio Case can be used to store other makeup items as well. Here are the 12 shadows tht are included in the Studio Case. They are arranged in columns of "natural", "smoky", "bold" and "chic" colours. Between the 12 shades I do think they cover quite a lot of colour bases! And of course, swatches! Quite a number of these shades have already been swatched in my MUFE Artist Shadow Eyeshadow Swatches Part 1 and Part 2 swatches, so I don't think I have to re-hash the colours too much, but I've swatched the entire set anyway for the sake of completeness. 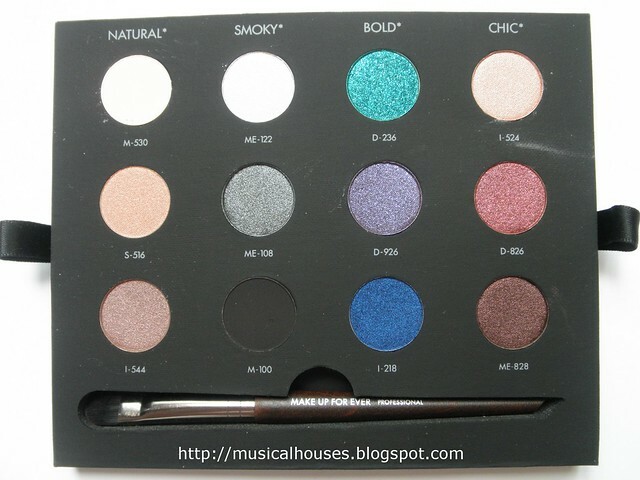 When swatching, I noticed that the quality of the eyeshadows is good, and on par with the usual quality of the full-sized Artist Shadows. Sometimes the quality of products in sets and kits can get watered down (e.g. less pigmentation, harder texture and so on), but these fortunately didn't suffer in quality. Above, I've swatched the "natural" and "smoky" shades. All of these shades have been swatched before in Part 1 of my Artist Shadow Swatches, but I've swatched them again because the lighting in this set of swatches is better (nothing beats natural light!). Fortunately, most of the swatches in the previous set looked pretty similar. The only colours that weren't swatched are I544 Pink Granite, which is a warm brown with a hint of pink, and ME122 Snow, which is a shimmery metallic white. Above are the "bold" and "chic" shades. Again, some of these have been swatched, except D926 Blueberry, which is not actually blue but more a deep purple, like blueberry juice stains, I218 Indigo, which is a deep shimmery indigo blue, and I524 Pinky Beige, which is a pretty universal pink-beige colour, a la MAC Naked Lunch or Stila Kitten. 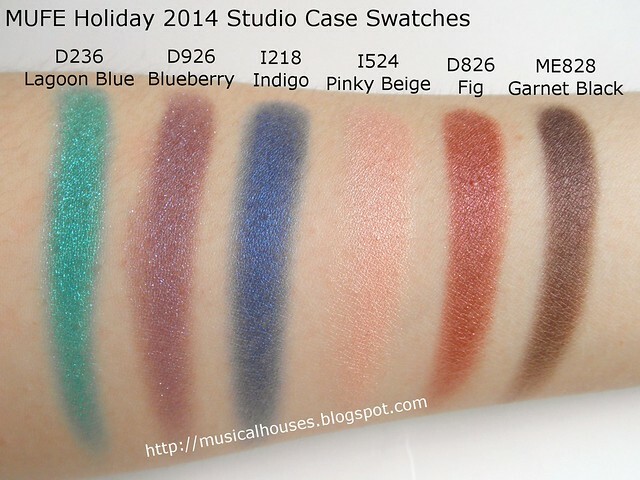 D236 Lagoon Blue is swatched in Part 1 of my Artist Shadow swatches, while D826 Fig and ME828 Garnet Black were previously swatched in Part 2 of my Artist Shadow swatches. I have to say, my swatches for D826 Fig and ME828 Garnet look pretty different here compared to my previous batch of swathces, because of the different lighting that I took them in - oh dear! But such are the perils of swatching at events in indoor lighting. I do my best, but there is only so much you can do with indoor lighting. I think between the two sets of swatches, this current one is probably more accurate due to the lighting. I'd also like to make a quick note on the brush included in this Studio Case. It's a travel-sized brush, but it's actually still of a good length compared to the full-sized brushes. I was half-expecting it to be one of those so-tiny-it's-awkward-to-use type of travel brushes, but surprisingly the handle length is decently long. 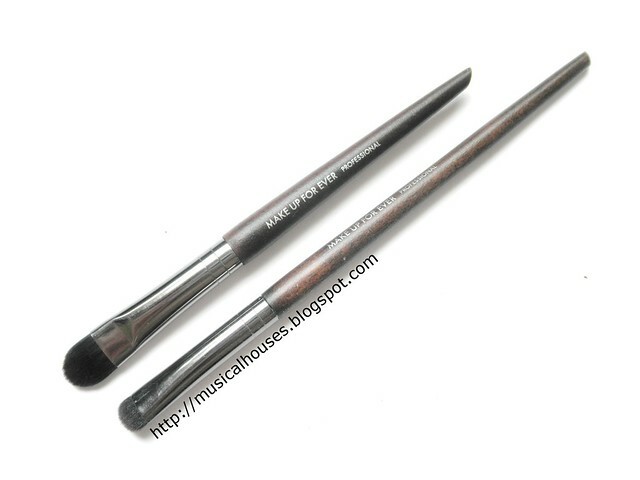 You get the #228 Precision Shader Brush (top), which I've compared to another MUFE eye brush I have, the #210 Round Shader Brush Small, previously reviewed in my MUFE brush post. It's shorter, but not significantly so, and still comfortable to use. So, would I recommend this? At SGD$99 it's not cheap, but if you have the budget and the will to treat yourself (or be really generous to a makeup-loving friend) then this would be worth the price. 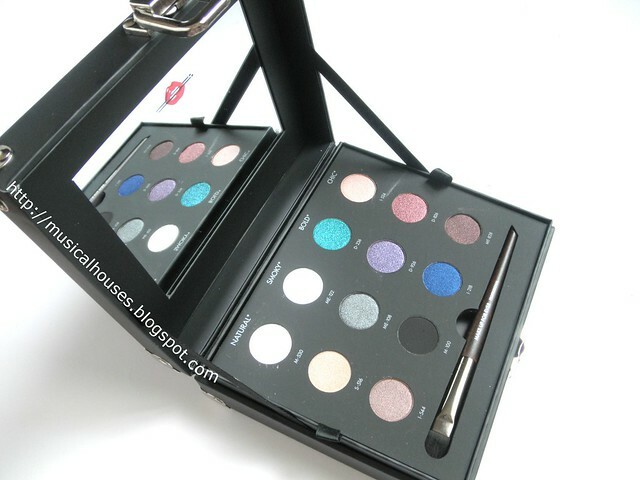 You will be getting 12 good quality shadows with a nice range of colours, and a good quality travel brush, which makes this pretty value-for-money, so it works out to be about $7.60 per item, including the brush, which is pretty good, especially considering the quality of the MUFE eyeshadows (really pigmented, great lasting power, and some great colour combinations). If you're an MUFE fan, or love eyeshadows, or are a fan of shimmery shades and colours, then this set is definitely worth checking out. The Bottom Line: Although it's not cheap, the MUFE Studio Case, acollection of 12 great quality eyeshadows and a good travel eyeshadow brush in a compact case, actually works out to being pretty value-for-money, and worth checking out if you're a fan of good quality eyeshadows. So gorgeous! I just it weren't so pricey! 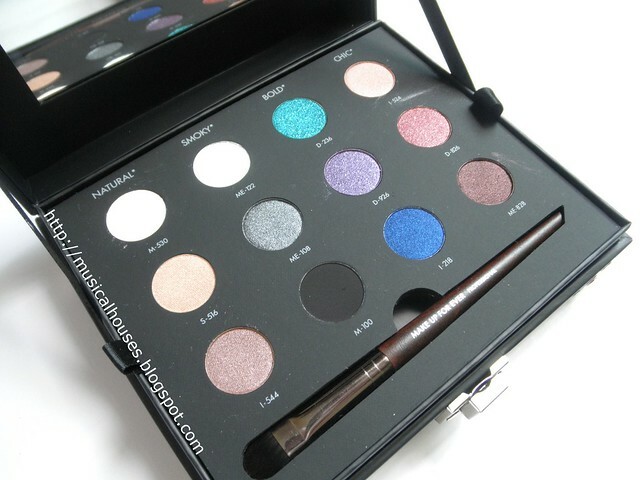 What an awesome palette, I think MUFE makes some really nice palettes.